Since your roof is essentially your shelter against rain, show and damaging storms, you want to make sure it is taken care of properly. By the time you have noticed a water spot in your attic or on your ceiling, there is most likely a quite larger problem up on the roof! In this DIY Reviews Home Improvement Guide, we will outline the Top 5 Reasons Why Your Roof is Leaking, and how you can trace down the point of the leak. Skylights: A skylight is fantastic for letting in light and brightening up your home, but they can sometimes leak. These leaks can before big issues so if you see any signs of water around it, you should have it inspected and fixed immediately. If you let this problem sit, it can lead to toxic mold and mildew and will eventually damage your roof. leaking. Chimney: Unfortunately, there is no way to seal each and every crack between a brick wall and your roofing. Chimney stacks create a large whole in your roof and is the most likely place that you will find standing water that can trickle slowly into small crevices. After a while, the water will pool and start causing damage to your roof and ceilings inside your home. Flashing: The primary cause of your chimney causing leaks in your roof are because the flashing has failed. Flashing is the metal sheet or fitting that covers the seams on roofs around the chimney, peaks and transition points. If the flashing becomes damaged by weather or debris or starts to break down from corrosion, the water will start pool underneath the shingles. Depending on how comfortable you are on your roof, you will need to decide if this is a diy project or if you need to leave it to a professional roofer to check out and repair. Plumbing: When a pipe is run through the roof there is bound to be some issues if it is not properly sealed. There are many types of pipes that may run through your roof including vents, exhaust ducts, and attic vents. If the seals around the pipes become damaged, worn out or cracked, it can leave a large whole where water can eventually start to pour in and cause major leaks. Get in the habit of going into your attic and checking things out regularly. You may be able to spot small leaks before they become a huge problem. Damaged Shingles: Shingles are usually one of the last things that will cause a roof to leak because they last a fairly long time. Eventually though, especially with older shingles, if you have a bad storm they may be damaged, cupped or removed completely from your roof. Again, if you are comfortable on your roof, you may be able to inspect and repair shingles yourself. 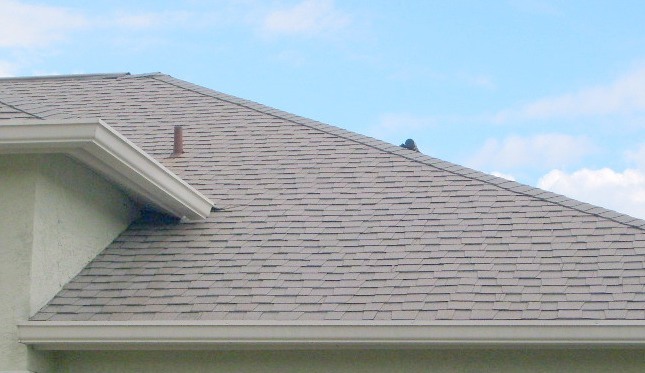 If you already see the obvious signs of damage like a missing shingle, there won’t be a lot of tracing you need to do. Just replace the shingle and you are done. But you may see signs of damage inside your home, which means you need to track down where the leak began. The best way to find the source of a leak in your roof is to go up in your attic on a rainy day. You will notice dark streaks or lines where the water is seeping through. When you locate the point of the leak, mark it inside. Once the weather clears, go up on the roof and have a helper stay inside the attic. Have them tap the area where you made the mark so you can more easily find and repair it with a new shingle or at the very least some roofing cement. You can use the same trick if you see leaking on your ceiling as well. 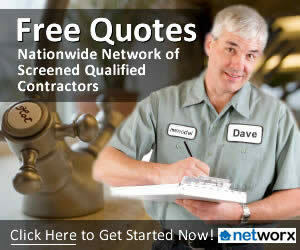 The DIY Network also has a video that shows a simple roof water test that you can perform to find a leak as well. If your roof begins to leak, it can cause major issues inside your home and even cause your roof to collapse and damage everything inside. The key is to never disregard any type of water stains you see in your home and try to have your roof inspected by a professional roofing contractor if you do not feel comfortable going up there yourself!